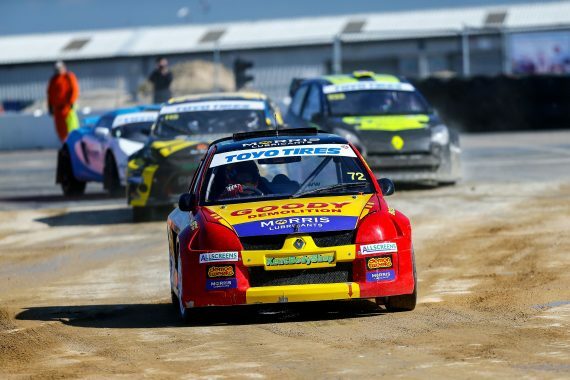 Canterbury based Rallycross driver Tristan Ovenden headed to Silverstone Rallycross Circuit to start the 2019 rallycross season looking to win his third straight MSA Supernational crown. However, the Goody Demolition backed driver had yet to record a win at the Northamptonshire circuit! In stark contrast to a year ago the fledgling circuit was bathed in glorious sunshine for the whole day, which would in turn work in Ovenden favour. After contact with another car at turn two in Q1 the Morris Lubricants supported driver was sitting in fourth place. This only went to spurred the two-time Supernational Champion on as he recorded successive wins in Q2 and Q3 to earn his first final pole position of this campaign. He left nothing to chance and went on to win in an impressive light to flag win. Ovenden has firmly established himself yet again that he is the man to beat this season. This entry was posted	on Wednesday, March 27th, 2019 at 11:00 am	and is filed under Motor Racing, Other Sports. You can follow any responses to this entry through the RSS 2.0 feed. Both comments and pings are currently closed.